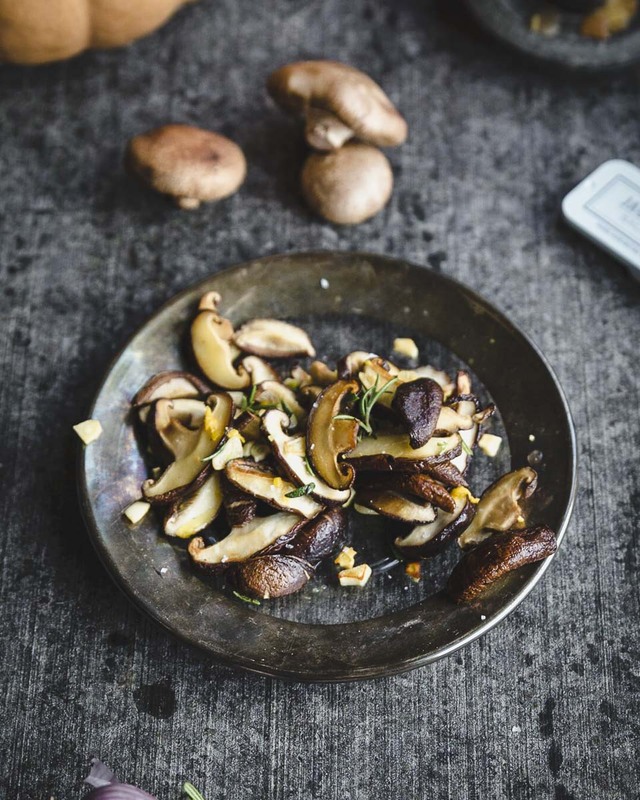 Like all the best recipes these easy sautéed mushrooms allow for substitutions and modifications. chanterelles out of season? shiitakes too darn expensive? cremini cramping your style? switch it out. just follow a few basic principles and you have a most simple, delicious, easy and satisfying side dish or garnish. Bonus points for being vegan and gluten free if you are into that sort of thing. looking for more delicious veggie sides? why not try my go to brussel sprouts? We were (some still are) a family of foragers. Mountain hikes taken less for scenery than for plucking and picking. Summer was for berries. Spring and fall were for fungii- morels, chanterelles, hens of the wood. The clean earthy scent of changing leaves, a hill side bright with aspen turning from pale green to shimmers of gold, shaded trails soft with fallen pine needles, and in the damp and shadowed earth treasures of the culinary variety. I was too young to be trusted with life or death decisions (as I recall it was my aunt sally who was tasked with the answer to the ‘is it edible?’ question) so while the others scanned the ground I contented myself with the shapes of clouds, or being startled by startled wildlife, chasing after our dog as he scouted for squirrels. This is why I buy my mushrooms. I have been tempted to get one of those logs where you can grow your own but where in this apartment would said log go? and is growing mushrooms at odds with making sourdough or sauerkraut or kombucha? The mushrooms you choose is up to you. 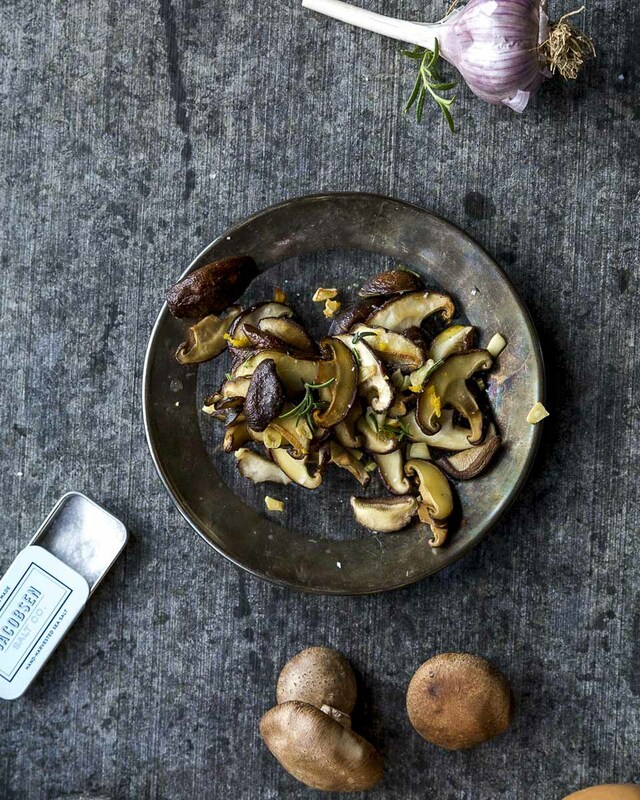 Shiitakes are my go to, in between all things mushroom, they are pretty, (as far as a fungus goes) and tend to be a little drier than cremini and a little studier than chanterelles. you’ve got three choices- what ever white table wine you happen to already have open (or want an excuse to open), dry sherry, or dry vermouth. This Kitchn article gives a nice overview but doesn’t talk vermouth possible because vermouths vary so wildly in flavor profile. Just like our sweet vermouths, we keep two varieties on hand, fancy and not. I use the found at trader joes decidedly not fancy dry vermouth when adding a layer of herbaciousness to the dish won’t make it weird- mushrooms work but soups or peppers mostly not. If in doubt pinot grigio. it depends. I always have parsley on hand, it adds a lil something but is neutral enough to sub in for any of its more distinct cousins. Rosemary is also really good in here especially if you have a potato something or other that will be on the table too. You can also can also use sage but it can get too bitter if used with dry vermouth. If you are using chanterelle mushrooms you might want to go light on the herbs. 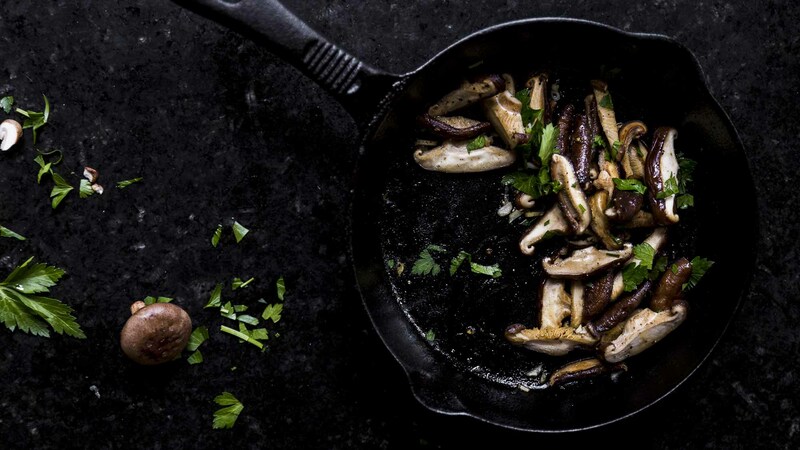 over medium heat preheat your cast iron skillet, add the mushrooms to the dry pan and increase the heat to medium high. sauté, stirring occasionally (Don’t worry if they stick a bit) until the mushrooms have released their liquid and just begun to brown (this can take anywhere from five to ten or so minutes) Do this at a higher heat if you have time to pay attention or lower the heat if you are multi tasking.